We do it again! 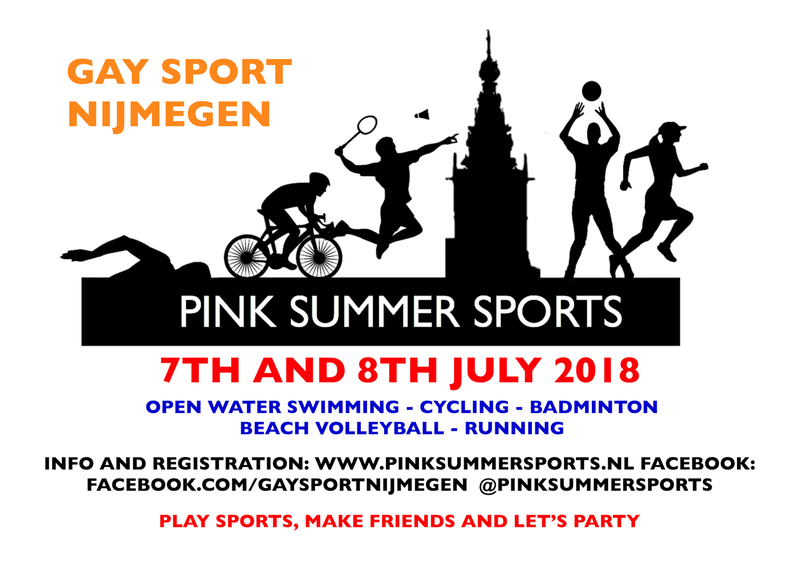 Gay Sport Nijmegen is organizing their 7th GSN Tournament on Saturday July 7th and Sunday 8th 2018. Come to Nijmegen (Holland) to join us for open water swimming, badminton, beach volleyball, running, cycling and maybe more… Like in earlier editions Nijmegen will guarantee another fantastic sports event. Play and party with friends. We are looking forward to meet you!